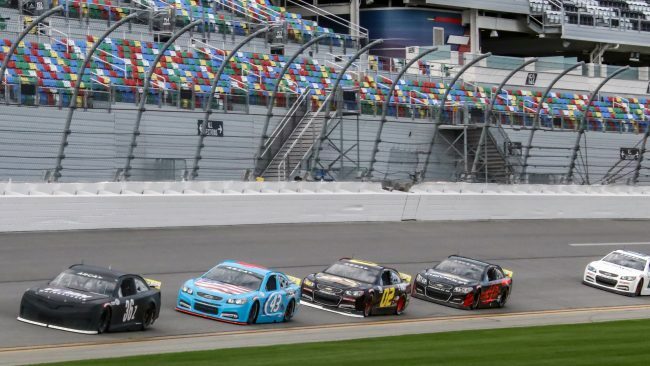 The ARCA Racing Series presented by Menards concluded a two-day test at Daytona International Speedway on Saturday afternoon. A total of 43 drivers took time on the 2.5-mile tri-oval over the course of the two days. Last year’s General Tire Pole Award winner Natalie Decker (No. 54 DGR-Crosley Toyota) led the way on Saturday, turning the fastest lap of the day in the morning session at 181.921 miles per hour. Gus Dean (No. 32 Win-Tron Racing Chevrolet) was second fastest at 181.866 miles per hour, Dave Mader III was third at 181.855 miles per hour, Bret Holmes (No. 23 Bret Holmes Racing Chevrolet) fourth at 181.800 miles per hour, and Travis Braden (No. 27 MatrixCare/Consonus Health Care/Liberty Village Ford) rounded out the top five at 181.789 miles per hour. Andy Seuss (No. 02 Our Motorsports Chevrolet), Codie Rohrbaugh (No. 7 Grant County Mulch Chevrolet), Brandon McReynolds (No. 28 KBR Development Chevrolet), Corey Heim (No. 22 Chad Bryant Racing Ford), and Scott Melton (No. 69 Melton-McFaddin Agency Ford) rounded out the top ten on Saturday. C.J. McLaughlin (No. 09 Our Motorsports Chevrolet) paced Saturday’s afternoon session at 180.538 miles per hour, in front of Thad Moffit (No. 46 Empire Racing Chevrolet), Branden Queen (No. 36 Vizion Motorsports Toyota), Sean Corr (No. 43 Empire Racing Chevrolet) and Seuss. The weekend was dominated by the two female drivers that were entered, with Decker leading the way on Saturday and Leilani Munter (No. 55 What The Health Toyota) turning the fastest lap of the weekend at 184.064 miles per hour on Friday. Munter and her Venturini Motorsports teammates Christian Eckes (No. 15 JBL Audio Toyota), Harrison Burton (No. 20 DEX Imaging Toyota) and defending race winner Michael Self (No. 25 Sinclair Lubricants Toyota) worked together in the draft to set the fastest speeds of the weekend. Saturday’s nine hours of testing ran incident free, with the only stoppages of on-track activity being for routine track inspections. The only incidents of the weekend happened on Friday, when Derrick Lancaster (No. 29 On Point Motorsports Toyota) had a loose oil line and Mader brushed the outside wall off turn two.